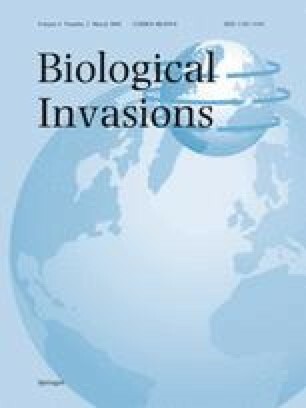 Colonization is of longstanding interest in theoretical ecology and biogeography, and in the management of weeds and other invasive species, including insect pests and emerging infectious diseases. Due to accelerating invasion rates and widespread economic costs and environmental damages caused by invasive species, colonization theory has lately become a matter of considerable interest. Here we review the concept of propagule pressure to inquire if colonization theory might provide quantitative tools for risk assessment of biological invasions. By formalizing the concept of propagule pressure in terms of stochastic differential equation models of population growth, we seek a synthesis of invasion biology and theoretical population biology. We focus on two components of propagule pressure that affect the chance of invasion: (1) the number of individuals initially introduced, and (2) the rate of subsequent immigration. We also examine how Allee effects, which are expected to be common in newly introduced populations, may inhibit establishment of introduced propagules. We find that the establishment curve (i.e., the chance of invasion as a function of initial population size), can take a variety of shapes depending on immigration rate, carrying capacity, and the severity of Allee effects. Additionally, Allee effects can cause the stationary distribution of population sizes to be bimodal, which we suggest is a possible explanation for time lags commonly observed between the detection of an introduced population and widespread invasion of the landscape.